The elegant feel given by the traditional Sayeh fabric makes this bag ideal for an evening out or a cocktail party. 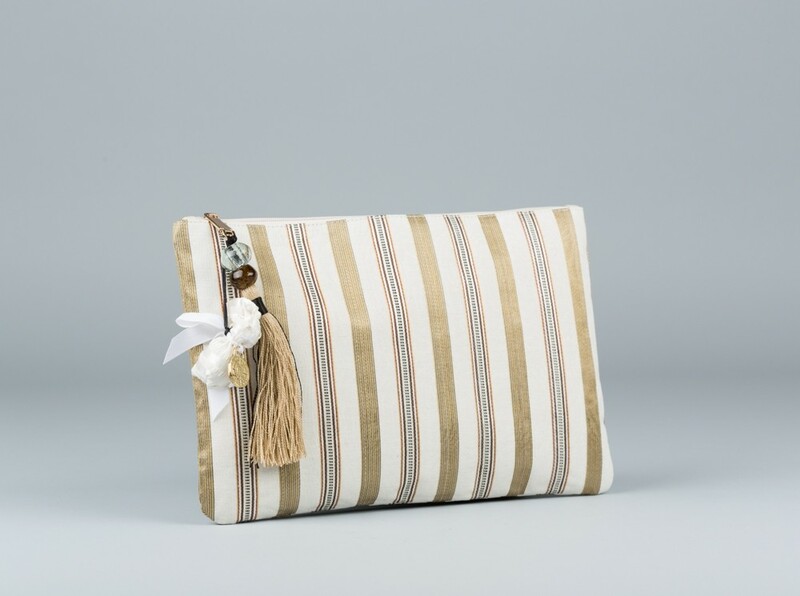 Made in collaboration with Lebanese Designer Taline Bags, this beautiful clutch is part of our new collection featuring our handsewn rabbit, crafted by Tante Imm Simon as she likes to be called. With an inner pocket and Sayeh lining, it's large size can easily carry your belongings. Sign up for our newsletter to get informed about our latest products.